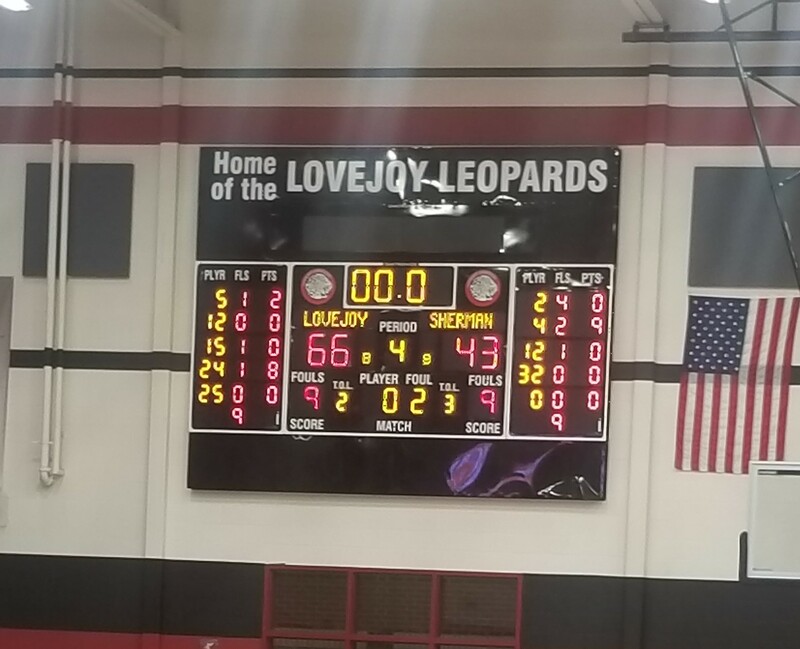 The Leopards open up district at home with a 23 point win against The Sherman Bearcats. The Leopards battled through foul trouble and a Sherman team that pressed the entire game. The Leopards were led in scoring by Kolby McSpadden with 17 points. Kyle Olson also added 13 points, and Luke Ledebur chipped in 11 points. The Leopards are now 1-0 in district and 14-6 on the season. The Leopards will travel to Princeton Tuesday, the 15th, for their district matchup.